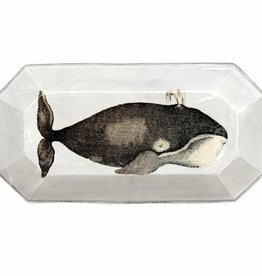 Featuring the iconic work of decoupage artist John Derian, this ceramic dish adds colorful imagery to Astier de Villatte's signature, milky-white ceramics. 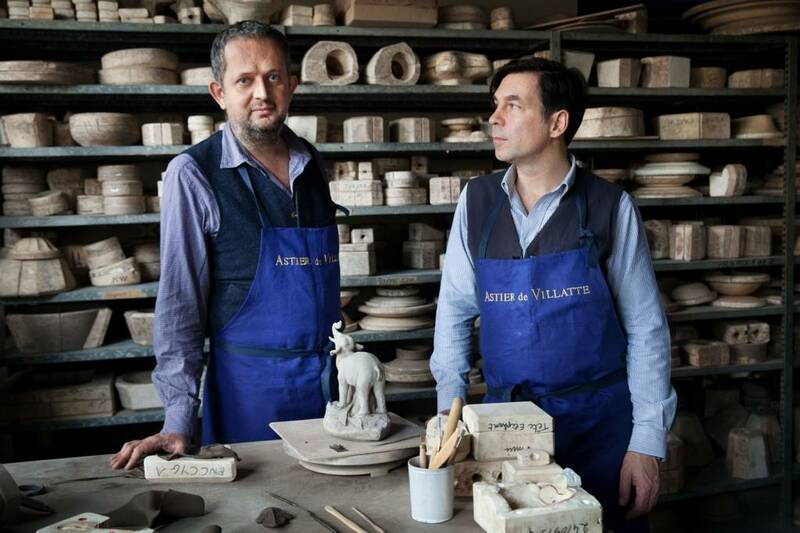 Each ceramic piece is made by Astier de Villatte in an antique Bastille workshop, employing a traditional pottery style passed down from generations. While perfect for displaying fruit, baked goods, or treats, it also serves as a trinket dish to hold small treasures. 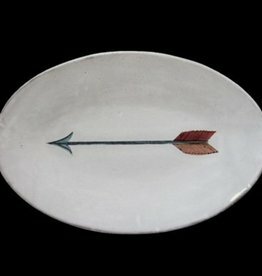 Lovely oval platter from Astier de Villatte. Handmade of black terracotta clay with and finished with a milky-white glaze. 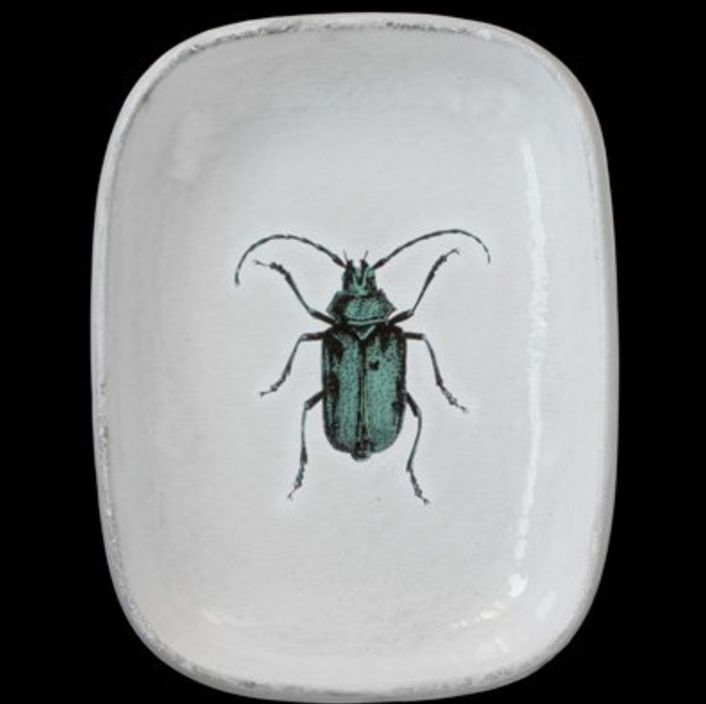 Its beautiful detailed painting gives this little one-of-a-kind platter that special look. 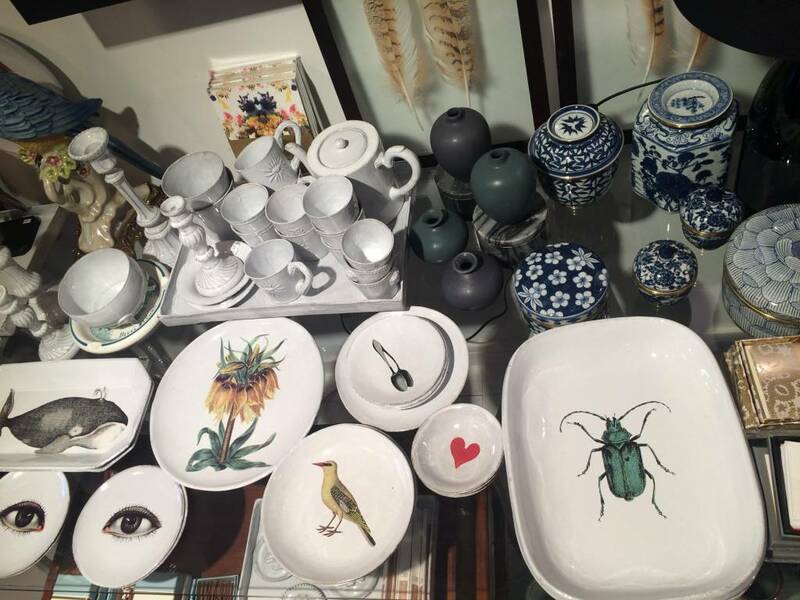 Lovely platter from Astier de Villatte. Handmade of black terracotta clay with and finished with a milky-white glaze. 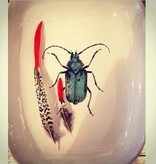 Its beautiful detailed painting gives this little one-of-a-kind platter that special look. 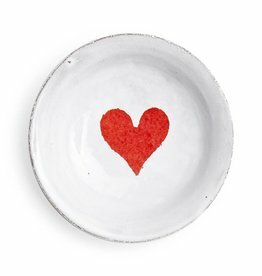 Lovely small plate from Astier de Villatte. Handmade of black terracotta clay with and finished with a milky-white glaze. 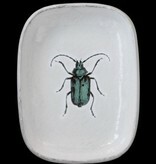 Its beautiful detailed painting gives this little one-of-a-kind plate that special look. Lovely small bowl from Astier de Villatte. Handmade of black terracotta clay with and finished with a milky-white glaze. Its beautiful detailed painting gives this little one-of-a-kind bowl that special look. 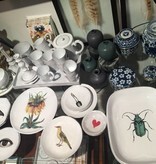 Lovely long platter from Astier de Villatte. Handmade of black terracotta clay with and finished with a milky-white glaze. 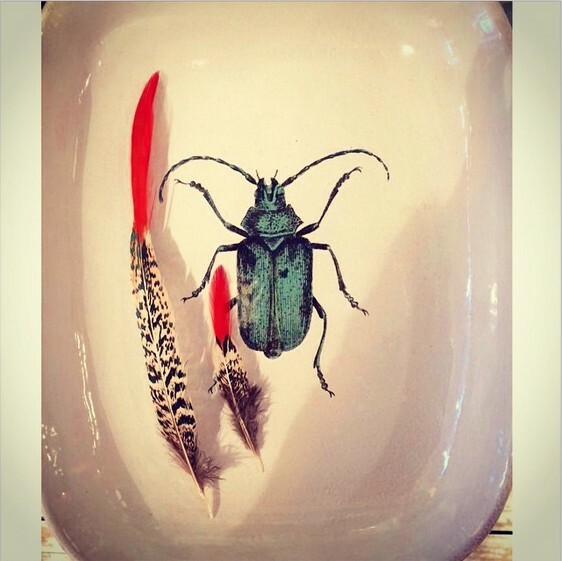 Its beautiful detailed painting gives this little one-of-a-kind platter that special look. 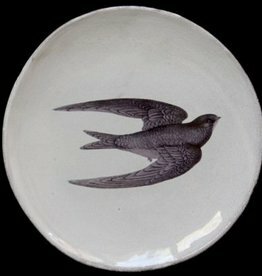 Lovely small saucer from Astier de Villatte. Handmade of black terracotta clay with and finished with a milky-white glaze. 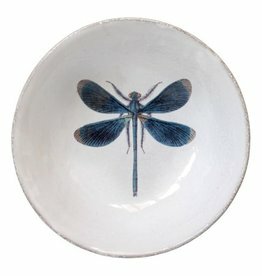 Its beautiful detailed painting gives this little one-of-a-kind saucer that special look.